This video tutorial shows how CNC turning machine with Sinumerik 808D CNC control is Switched-On. As every cnc machine needs a way to reference it’s axis, Reference of Axis is a very crucial process, some cnc machines are fitted with Absolute Encoders so this eliminated the need to reference the axis. 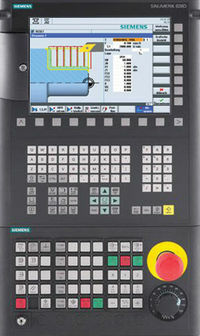 This video also shows how to Reference Axis on a CNC turning machine with Siemens Sinumerik 808D cnc control.